Chun Sheng Goh is a JSPS-UNU Postdoctoral Fellow at UNU-IAS. Chun Sheng, also known as C.S., specializes in sustainability issues related to developing the bio-economy. He has several years of experience in research and consulting, in addition to policy implementation experience during time as a national government officer. 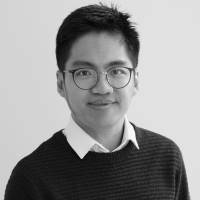 Dr. Goh first started as a researcher at Utrecht University, focusing on topics related to the bio-economy, particularly on international trade, land use, and carbon impacts. Meanwhile, he also played the role of Task Manager at IEA Bioenergy Task 40, assisting the Task Leaders in managing task activities. He later worked at Agensi Inovasi Malaysia, responsible for the execution of the National Biomass Strategy 2020. In 2017, he received his Ph.D. degree from Utrecht University with the dissertation “Monitoring the bio-economy: Assessing local and global biomass flows, land-use change, carbon impacts and future land resources”. His current research interests are mainly in the development of the bio-economy, which is the nexus of four critical components: climate change, energy, socio-economic development, and ecosystem services. His postdoctoral research focuses on impacts, synergies, and trade-offs on land-use and carbon stock changes. In particular, the research evaluates different land-use options and business models applied to under-utilized low-carbon (ULC) land resources for additional biomass production. It aims to deliver integrated ecological, social, and economic information to policy makers and practitioner communities in East, South, and Southeast Asia, supporting analysis and tools development in the international climate policy arena. Goh CS, Wicke B, Potter L, Faaij APC, Zoomers A, Junginger M (2017a) Exploring under-utilised low carbon land resources from multiple perspectives: Case studies on regencies in Kalimantan. Land Use Policy. Land Use Policy 60:150-168. Goh CS, Wicke B, Faaij A, Bird DN, Schwaiger H, Junginger M (2016) Linking carbon stock change from land-use change to consumption of agricultural products: Alternative perspectives. Journal of Environmental Management 182:542-556. Stupak I, Joudrey J, Smith CT, Pelkmans L, Chum H, Cowie A, Englund O, Goh CS, Junginger M (2016) A global survey of stakeholder views and experiences for systems needed to effectively and efficiently govern sustainability of bioenergy. Wiley Interdisciplinary Reviews: Energy and Environment 5(1), 89-118. Goh CS (2016) Can We Get Rid of Palm Oil? Trends in Biotechnology 34(12):948-950. Goh CS, Wicke B, Verstegen J, Faaij A, Junginger M (2016) Linking carbon stock change from land-use change to consumption of agricultural products: A review with Indonesian palm oil as a case study. Journal of Environmental Management 184:340-352. Matzenberger J, Kranzl L, Tromborg E, Junginger M, Daioglou V, Goh CS, Keramidas K (2015) Future perspectives of international bioenergy trade. Renewable Sustainable Energy Reviews 43, 926-941. Goh CS, Junginger M, Faaij A (2014) Monitoring sustainable biomass flows: General methodology development. Biofuels, Bioproducts and Biorefining 8(1), 83-102. Goh CS, Junginger M, Cocchi M, Marchal D, Thrän D, Hennig C et al. (2013) Wood pellet market and trade: a global perspective. Biofuels, Bioproducts and Biorefining 7(1), 24-42. Goh CS, Tan HT, Lee KT (2012) Pretreatment of oil palm frond using hot compressed water: An evaluation of compositional changes and pulp digestibility using severity factors. Bioresource technology 110, 662-669. Junginger M, Goh CS, Faaij A (Eds.) (2014) International bioenergy trade. History, status & outlook on securing sustainable bioenergy supply, demand and markets. Springer, Dordrecht. Junginger M, Goh CS, Faaij A (2014) Synthesis and Recommendations. In: Junginger M, Goh CS, Faaij APC (Eds.) International bioenergy trade. Springer, Dordrecht. Pp. 213-224. Pelkmans L, Goovaerts L, Goh CS, Junginger M, van Dam J, Stupak I et al. (2014) The role of sustainability requirements in international bioenergy markets. In: Junginger M, Goh CS, Faaij APC (Eds.) International bioenergy trade. Springer, Dordrecht. Pp. 125-149. Faaij A, Goh CS, Junginger M (2014) A general introduction to international bioenergy trade. In: Junginger M, Goh CS, APC Faaij (Eds.) International bioenergy trade. Springer, Dordrecht. Pp. 1-15. Goh CS, Junginger M (2014) Sustainable biomass and bioenergy in the Netherlands: Report 2013. Commissioned by Netherlands Enterprise Agency. Goh CS, Junginger M (2013) Sustainable biomass and bioenergy in the Netherlands: Report 2012. Commissioned by Netherlands Enterprise Agency. Pelkmans L, Goovaerts L, Smith CT, Joudrey J, Stupak I, Englund O, Junginger M, Goh CS, Chum H, Cowie A (2013) Monitoring Sustainability Certification of Bioenergy: Recommendations for improvement of sustainability certified markets. Commissioned by IEA Bioenergy. Stupak I, Joudrey J, Smith CTT, Pelkmans L, Chum BH, Cowie A, Englund O, Goh CS, Junginger M (2013) Monitoring Sustainability Certification of Bioenergy: Survey on governance and certification of sustainable biomass and bioenergy. Commissioned by IEA Bioenergy. Goh CS, Junginger M, J Joudrey, H Chum, L Pelkmans, CT Smith et al. (2013) Monitoring Sustainability Certification of Bioenergy: Impacts of sustainability certification on bioenergy markets and trade. Commissioned by IEA Bioenergy. Goh CS, Junginger M (2012) Report for the overview and analysis of sustainability certification initiatives. Commissioned by Solidstandards. Cocchi M, Nikolaisen L, Junginger M, Goh CS, Heinimö J, Bradley D et al. (2012) Global wood pellet industry market and trade study. IEA Bioenergy Task 40. Goh CS, Junginger M (2012) Sustainable biomass and bioenergy in the Netherlands: Report 2011. Commissioned by Netherlands Enterprise Agency. Goh CS, Wicke B, Junginger M. Quantifying agricultural and non-agricultural drivers of carbon stock change from land-use change. CIFOR Infobrief no. 130. Center for International Forestry Research (CIFOR), Bogor, Indonesia.